The UEFA European Under-18 Championships were first held in 1980/81, replacing the previous International/European Youth Tournament. The tournament was re-designated for Under-19 teams in 2001/02. The tournament format currently consists of two preliminary stages - a qualifying group of four teams with the top two progressing to the Elite group stage also of four teams. Both these group stages are hosted by one of the competing nations. Slight variations may be made depending on number of competing teams. The winners of the Elite groups progress to the Championship Finals hosted by a pre-selected country who qualify automatically. Teams who progress to the latter stages of the Championships qualify for the following year's FIFA Under-20 World Cup. 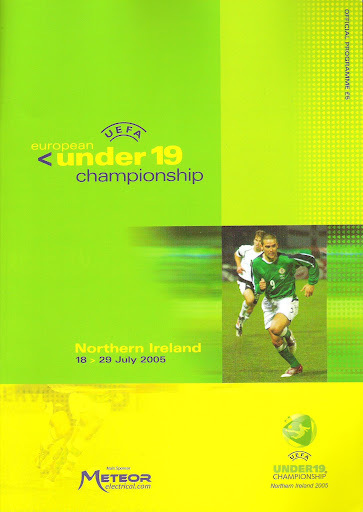 Northern Ireland have played at the Finals once, in 2005, when they were hosts. They will again host the tournament in 2020. * match suspended from the previous day due to a waterlogged pitch.